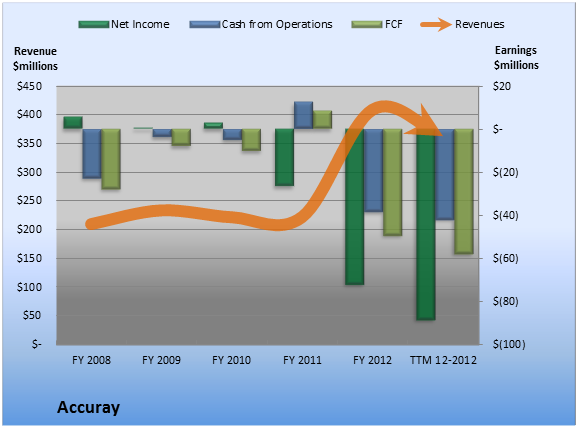 Over the past 12 months, Accuray burned $57.7 million cash while it booked a net loss of $88.4 million. That means it burned through all its revenue and more. That doesn't sound so great. With 20.0% of operating cash flow coming from questionable sources, Accuray investors should take a closer look at the underlying numbers. Within the questionable cash flow figure plotted in the TTM period above, stock-based compensation and related tax benefits provided the biggest boost. 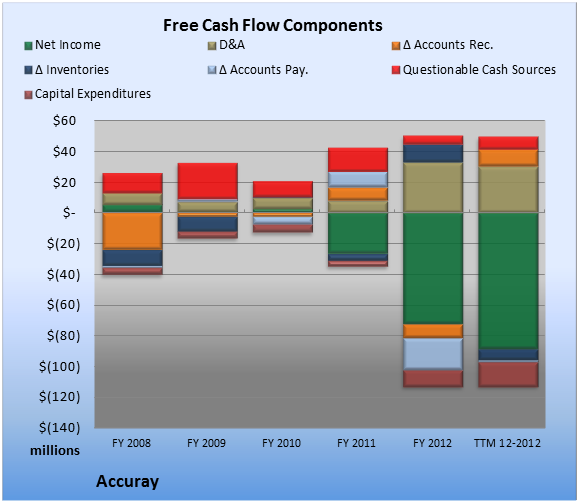 Overall, the biggest drag on FCF came from capital expenditures, which consumed 38.6% of cash from operations. If you're interested in companies like Accuray, you might want to check out the jaw-dropping technology that's about to put 100 million Chinese factory workers out on the street – and the 3 companies that control it. We'll tell you all about them in "The Future is Made in America." Click here for instant access to this free report.